The Glebe Garden Club’s annual “Ipswich Home Gardener’s Expo” is normally held on the fourth Saturday of August at the Glebe Road Uniting Church complex, Glebe Road, Booval, Ipswich. However; this may vary when there are five (5) Saturdays in August of a particular year. There are a number of specialist guest speakers throughout the day from Ipswich and surrounding areas, as well as a renowned special guest speaker. The Mayor of Ipswich, Councillor Paul Pisasale, normally takes time out from his busy schedule to open the Garden Expo and mingle with the crowd, speaking to people and stall holders. The entrance fee is currently $3.00 per person, with children under 12 years free. Food is available on the day in the form of a sausage sizzle, sandwiches, cakes, tea, coffee and cold drinks. Due to popular demand, each year “The Fiddler’s Inn” provides musical entertainment throughout the day. The Expo comprises many different stalls and speakers with a united focus on many varied aspects of gardening. Approximately 65 – 70 stalls normally consist of numerous plant stalls, water features, garden tools, garden products and ornaments, craft, bark painting, pots and hangers, and much more. Each year, the Glebe Garden Club (Ipswich) adopts a local charitable organization to be part of the Garden Expo. Should they wish, they can conduct a stall and raise much needed funds for their cause. An example of this is the sponsoring of “Habitat for Humanity” for the excellent work they do in getting hurting families into an affordable home. This work was very evident when they aided in the re-building of many Ipswich homes and gardens after the floods. The “Ipswich Home Gardener’s Expo” has proved a huge success in previous years, despite changing climatic conditions. Many people make a day of it in more ways than one. Some allow time to visit Queens Park to see the Nerima Japanese Garden, of which QCGC has financially supported part of that project. 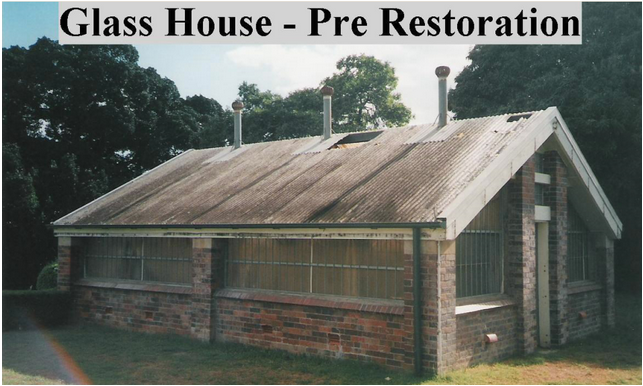 The heritage listed Glasshouse, recently restored by the Glebe Garden Club in conjunction with the Ipswich City Council, is also located in Queens Park. This is a huge event and requires enormous support from many people. The support from the Ipswich City Council each year has been exemplary. The cooperation of all stallholders each year is outstanding which helps make a great day for all concerned. Each year, there are so many people that help make the Garden Expo such a huge success. Accordingly; The Glebe Garden Club (Ipswich) is enormously thankful to everyone involved in any way for helping make the “Ipswich Home Gardener’s Expo” such a huge success every year. 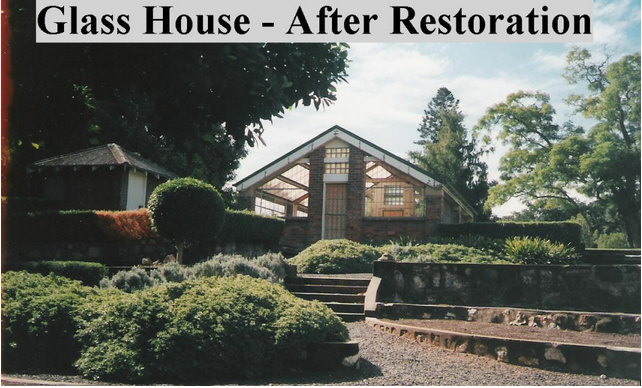 The Glass House in Queens Park Ipswich shines again after being refurbished and re-stocked by Glebe Garden Club Ipswich in conjunction with the Ipswich City Council. The heritage listed building has been restored to its former glory by the Ipswich City Council after several years of not being used. Glebe Garden Club (Ipswich) is responsible for the re-stocking and maintaining of the plants, with regular working bees being conducted. This is carried out by an enthusiastic sub-committee on a rostered basis. It is presently filled with thriving and colourful tropical and subtropical plants as well as many local rare and endangered species. All plants are listed with their scientific and common names for the benefit of the public and collectors. It has become a haven of beauty! This work is continually on-going and the Glass house is expanding all the time with the help of those very dedicated club members. We have been encouraged and delighted in receiving a variety of awards. Entries in the prestigious Ipswich City Council 2007 Awards for Excellence were successful for both the Home Gardeners Workshop and Expo and the Glass House in the Community Greening Category. Additionally; a grant from the Australian Open Garden Scheme Community Grants was received to further the work being done with the Glass House. This has been mainly used to expand the plant range to include rare equatorial plants as well as heritage plants of our local area, which are suitable for glass house conditions. Accordingly; warmest congratulations and every good wish for future success on our project was extended to us by Kim Wood- Rabbidge, Queensland Co-coordinator Australian Open Garden Scheme. The glasshouse has attracted several hundred local people and visitors to our city since its official opening on 19th November 2006 by the Ipswich Mayor, Cr Paul Pisasale. This has included several Garden Clubs that have visited by bus. The Glass House is open to the community on the third weekend of each month, both Saturday and Sunday from 12.00pm to 4.00pm, on Public Holidays and other days by appointment. Coaches and groups are very welcome. Plan a visit to the Green House and Ipswich, our heritage city, especially as Ipswich is classified one of the world’s top 10 friendly cities. Please contact Faye Wright on (07) 3288 8420 for bookings and more information.